Despite a judge tossing out his countersuit against a poker pro and the Aria casino on the Las Vegas Strip, Czech casino owner Leon Tsoukernik is still pushing his legal chips into the middle of the table. Kirk extended loans to Tsoukernik during the poker game. Tsoukernik lost $3 million to Kirk in about an hour of play and only repaid $1 million. Kirk wants the remaining $2 million, but Tsoukernik says they reached a settlement days later for just the $1 million and that deal should be honored. A text message exchange included as an exhibit in court documents indicates that at first Tsoukernik didn’t want to fork over any of his poker losses. Per court documents, Tsoukernik’s lawyers are seeking to delay their client having to potentially pay for Kirk’s legal fees. Kirk’s lawsuit was filed last summer. “Any final award of attorney’s fees based on Kirk’s motion to dismiss [the countersuit] should await a final determination of this matter after discovery, further motion practice, and trial,” said a court document from the Czech casino owner’s lawyers. In separate court documents, Tsoukernik laid out additional allegations that his team believes bolsters his legal defense and counterclaims. While the issue regarding the alcohol is a matter typically handled by the Nevada Gaming Control Board, Tsoukernik’s lawyers said that there was a “conspiracy” that “occurred after the poker game in question” that goes beyond the oversight of regulators. 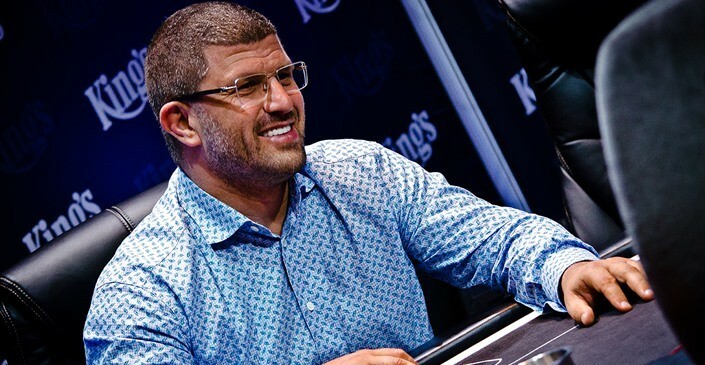 The conspiracy, according to Tsoukernik, involved Kirk’s financial backing in the early morning poker game in the exclusive Ivey’s Room and later alleged attempts to tarnish his reputation as a gambler. Tsoukernik alleges that Bobby Baldwin, winner of the 1978 World Series of Poker main event, and others “back Kirk and other professional poker players to play against Aria casino ‘whale’ patrons.” Baldwin is an executive officer with MGM Resorts, owner of Aria. According to court documents, Kirk, upon becoming upset with the process of settling the poker debt, said in a text message that he would be contacting Baldwin and Cirque du Soleil founder Guy Laliberté for help resolving the matter. Kirk also enlisted Antanas “Tony G” Guoga and British card room owner Rob Young for assistance, Tsoukernik’s legal team said. As of Friday, Kirk vs. Tsoukernik is slated to go to jury trial in April 2019.